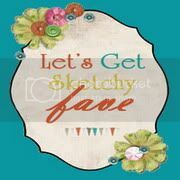 I'm finally back with a layout I created for an online crop at Two Scrapbook Friends using a Let's Get Sketchy sketch! I love this picture of my nephew Caleb and I love how this layout turned out. I used some Mister Huey mist to add the white paint splatters to the background paper. I LOVE this background paper from MME. the rest of the papers are from Echo Park "Note to Self". Thanks for stopping by, hope to see you again soon﻿! This is GORGEOUS! 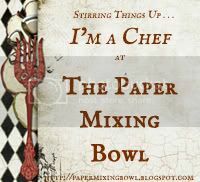 I loveeeeeeeee that adorable photo, the design and loving loving loving that wood grain paper!!!! Gorgeous layout! Love it! Great combinition of the MME & Echo Park lines - two of my faves! Thanks for joining us at Let's Get Sketchy this week! I love this one Kelly! Especially the paint spatter on the wood. Awesome! Awesome!I love it!very lovely banner! Thanks for playing along with at LGS!! Ohhh this is totally GORGEOUS!!! Love the papers the colours, the paint splatters the distressing, it is all perfect for the oh so cute photo!! Awesome page! Thank you so much for joining us this week at LGS! Wonderful work with the layers and wood grain paper! Thanks for joining the 8th Official Sketch Challenge at Let’s Get Sketchy! what a cute photo and perfect way to show it off by combining the MME and Echo Park! Inspired Kelly!